I’ve been solely focused on Calisthenics for roughly 18 months now. After seeing some Barstarzz videos online I was blown away at what those guys and girls could do so I decided I wanted to be one of those people as well. What attracts you to it and what keeps you coming back for more? There is no isolation of muscles, everything you do requires your whole body to work as a unit and that’s what I love about Calisthenics. There a so many different ways your body can move its always an adventure experimenting with my body so Im never bored. 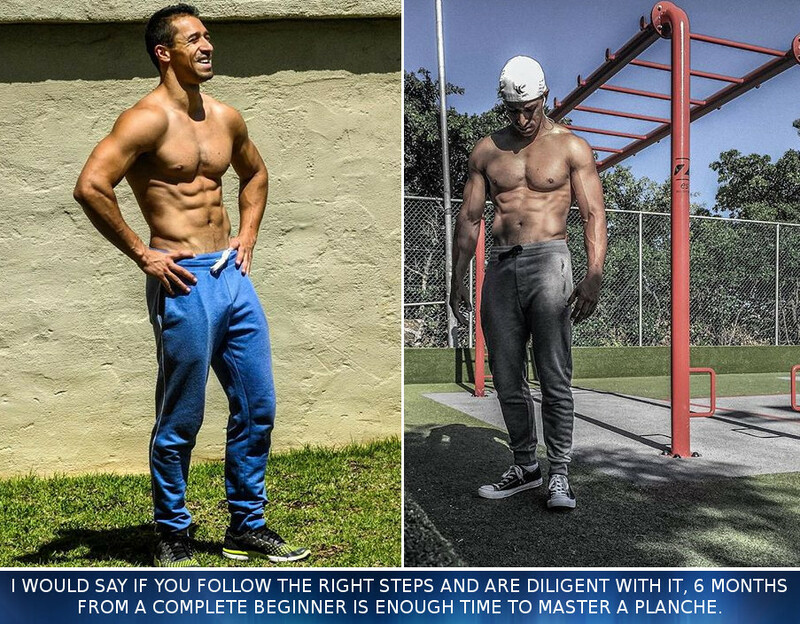 Learn how to start off in calisthenics! 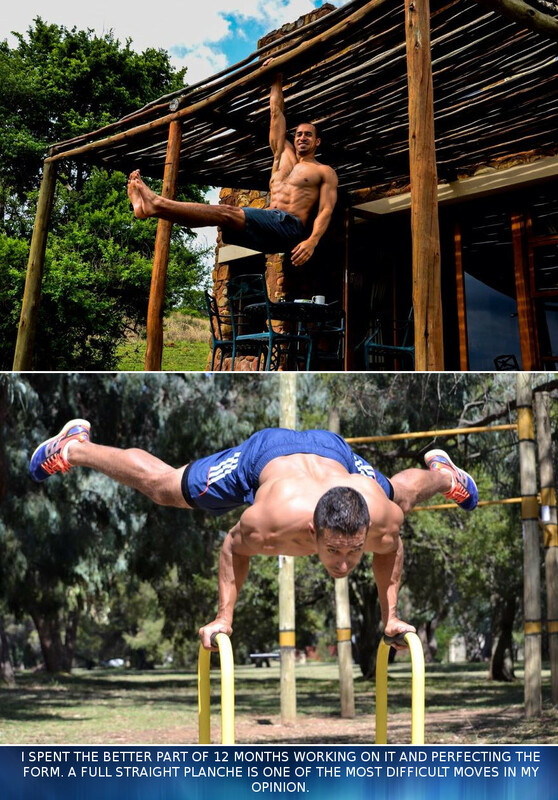 For more training tips and calisthenics exercise specific advice from Adam, click here! The first move I ever saw was the planche and I developed a slight obsession with it haha. I spent the better part of 12 months working on it and perfecting the form. 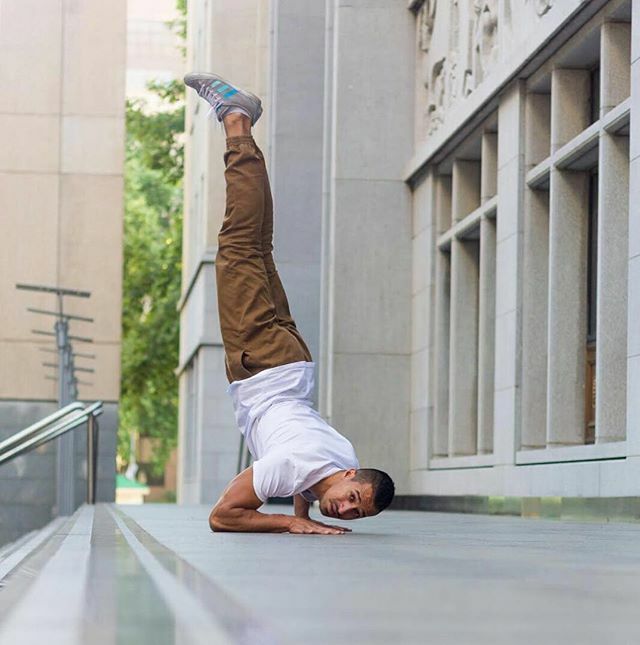 A full straight planche is one of the most difficult moves in my opinion as it requires immense upper body strength, coordination and balance, as well as a strong lower back, fingers and wrists. Did you ever train with weights? 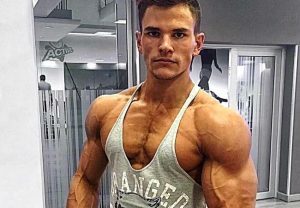 Do you ever train with weights nowadays and do isolated exercises? I was religiously into powerlifting before I migrated to calisthenics, so all my training was weight based. I injured my lower back very badly and that’s when I decided to leave it behind. I do still use weights for certain exercises, we do weighted pull ups, weighted dips and we use weights for leg training as well. 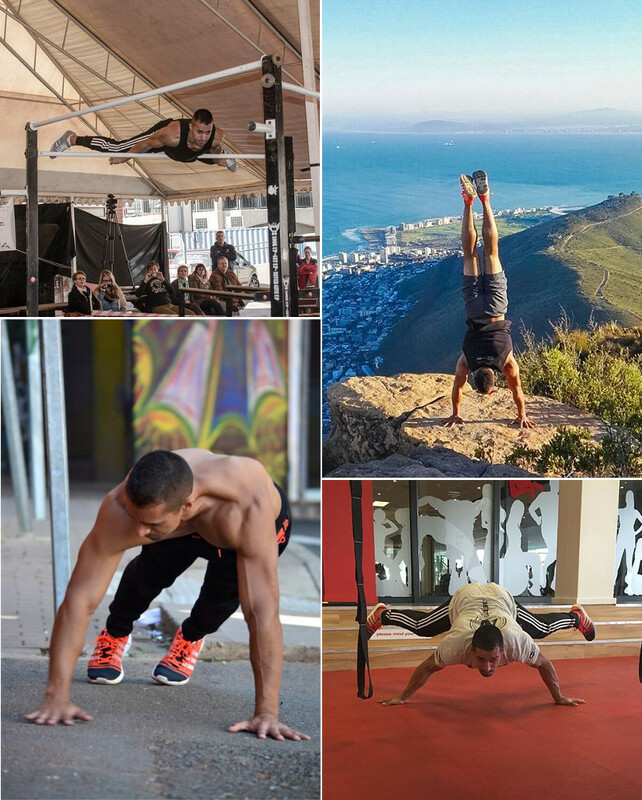 Tell us a bit about how you started Rip core Calisthenics and why it came to be? 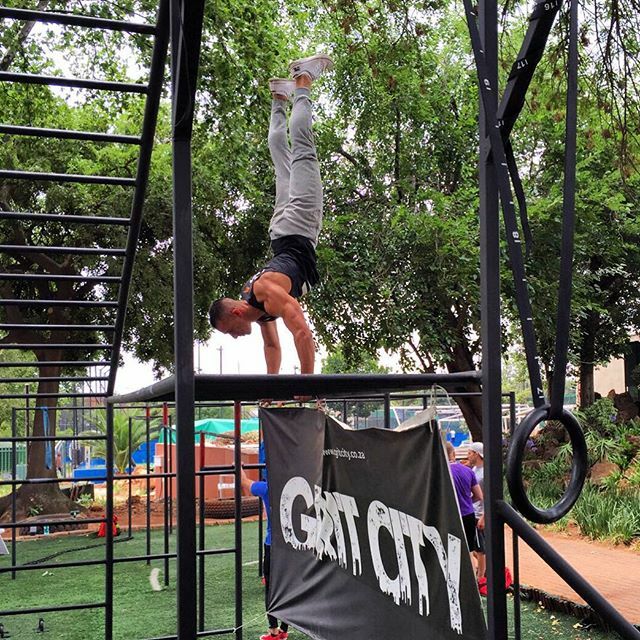 RipCore Calisthenics was started in June 2015 with the simple intention of creating an awareness in the South African market around calisthenics and street workout. 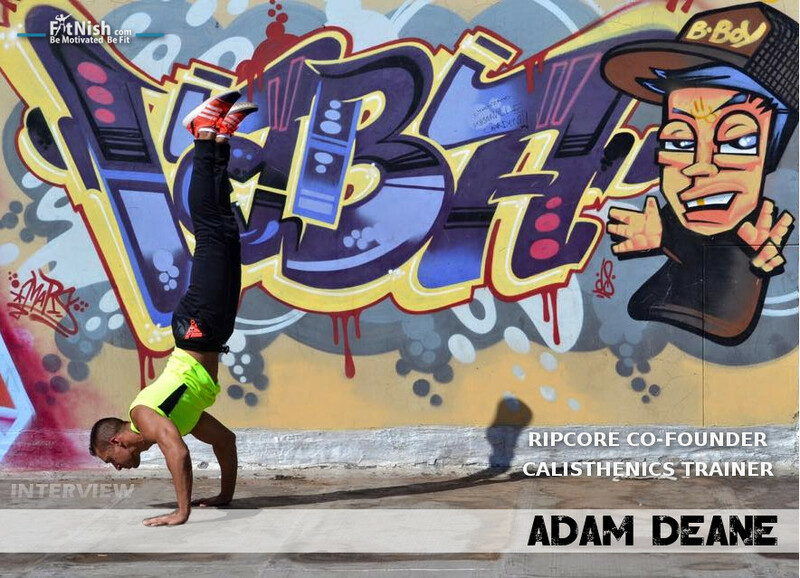 My teammate Matt and I share the same vision in that we want people to see and experience the benefits of calisthenics the way we have and we try to impart this through RipCore and its weekly training classes. 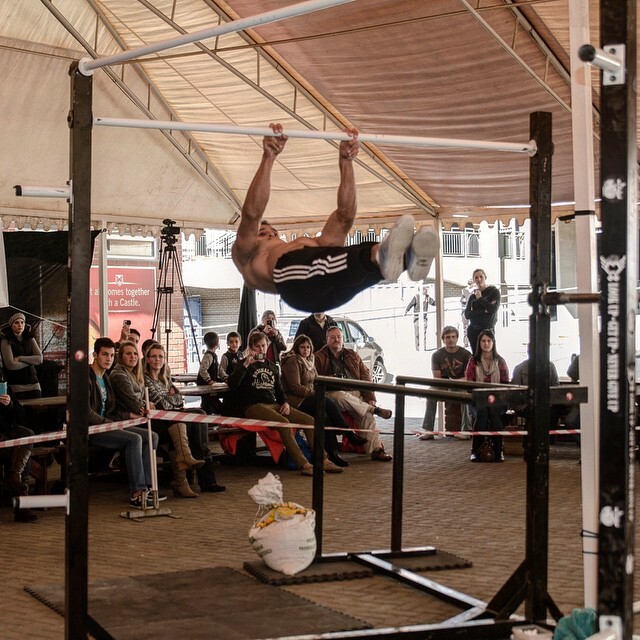 RipCore is also affiliated to the WSWCF (World Street Workout and Calisthenics Federation) and SASWCA (South African Street Workout and Calisthenics Association) and sends athletes to compete in annual competitions locally. What is the purpose of it and how can people join in and where? RipCore is there to introduce and train individuals who want to get the best out of their bodies. We run a weekly group class every Saturday in the Maboneng Precinct in Johannesburg. The class runs from 09h00 – 10h30. Further to this we are going to be introducing another aspect in 2016 whereby individuals can become brand ambassadors for RipCore and compete under its name. I believe the answer to that lies in two parts. Firstly, muscular hypertrophy, fat burning, toning etc all rely on a simple principle. Your body doesn’t know the difference between a barbell, a bag of flour or gravity. All it knows is the load it has to overcome and how long it has to endure it. 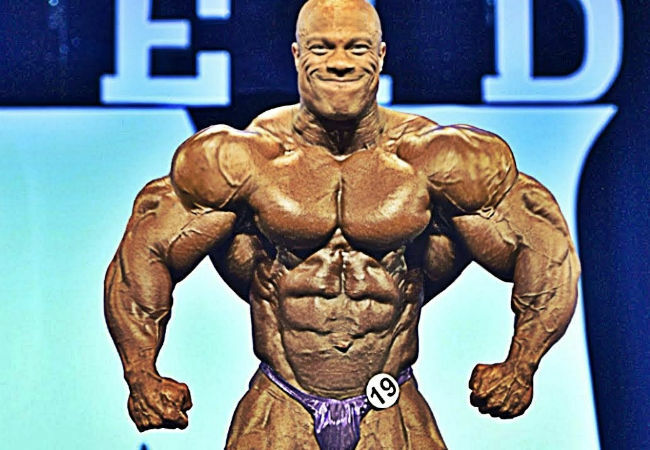 Secondly there are two ways to train, for aesthetics or functionality. Aesthetics don’t translate into applicable abilities, whereas to perform certain movements with functional training your body adapts to look a certain way. I have just relocated to Cape Town starting a new job so that’s a new adventure for me. I want to create a footprint for RipCore in Cape Town as well so we’ll see how that goes. Im also quite enjoying the hikes, and might try my hand at trail running as well. The only thing that stops any of us from achieving what we want is our own fears and insecurities. Have faith, work hard, be honest and be humble. Im generally up very early mainly because that’s what my 2 yr old son wants haha. I work in the sports marketing industry as an events manager so my work is never dull and keeps me on my toes. I hit the gym at least 5 times a week after work and spend the evening cooking and spending time with my wife and my son. Give us a brief description of your philosophy on your diet, Do you monitor closely what you eat? Of late I’ve become more educated and through experimentation I’ve learnt to keep things simple and not get sucked into the fads and trends. Your body needs fuel to perform everyday tasks and there are things you should be staying away from. Im also very fortunate to be sponsored by the amazing folks at NutriTech South Africa so all my supplementation is taken care of. My intake is split into 6 meals a day. Breakfast, fruit around mid morning, high protein and carb lunch, a late afternoon protein snack and a high carb and high protein supper with lots of veggies. I enjoy the sweet treat or cheeseburger now and then. I don’t believe in depriving yourself if you feel like having something “unhealthy”. How do you stay in such great shape all the time? What tips can you give to keep looking good with abs all the time? Hours and hours of hard work. 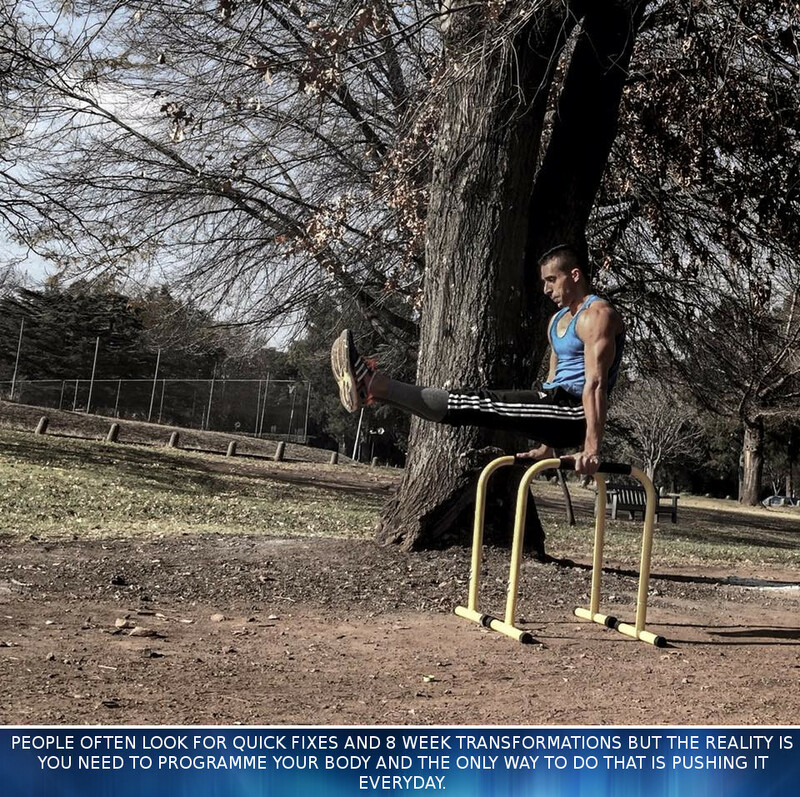 People often look for quick fixes and 8 week transformations but the reality is you need to programme your body and the only way to do that is pushing it everyday. There is no substitute for putting in the reps and sweating it out. The more you do it, the longer you do it, the more it becomes your bodies natural state. What do you normally eat after training? What’s the ideal foods to take in after training in your opinion? I take a my NutriTech recovery shake straight after my training and when I get home its generally a chicken dish, or a pasta, steak and chips or curry and rice. For me the ideal foods are your lean meats (lean steak, chicken breast) for a faster protein uptake, green veggies (spinach, broccoli) to supplement your magnesium intake for recovery and a serving of carbs (pasta, potato chips) to replenish your stores. Each session we try and hit a maximum number of reps, between 200 and 500 depending on the movements. The last 30 minutes of our sessions are for stretching and increasing Range of Motion. What exercises or holds are you working towards at the moment? Im currently working on the pike handstand and working towards the splits as well. 2016 is the year of flexibility for me. Don’t ignore the progressions, respect the steps or you will injure yourself. Pay attention to your flexibility. Have fun with what your body can do. They form the bedrock of a lot of what we do. There are hundreds of variations to master. I prefer to have strong and powerful legs instead of just big legs. 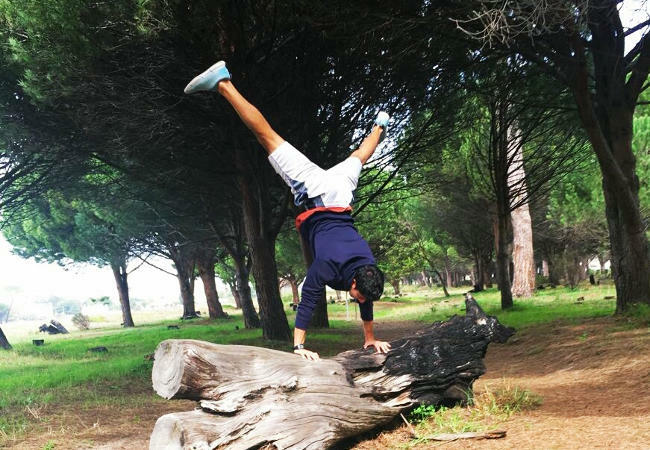 What are your tips to holding a perfect handstand? Fall over until it feels normal, take your time and work through progressions to understand what needs to work and how it needs to work. I would say if you follow the right steps and are diligent with it, 6 months from a complete beginner is enough time to master a Planche. I took a lot longer, almost 12 months because I didn’t know about the progressions and hurt myself a few times. Frank Medrano, Muhammed Ali and Hashim Amla. How do you even do that? Haha. My answer is always the same, lots and lots of practice and lots of failed attempts. 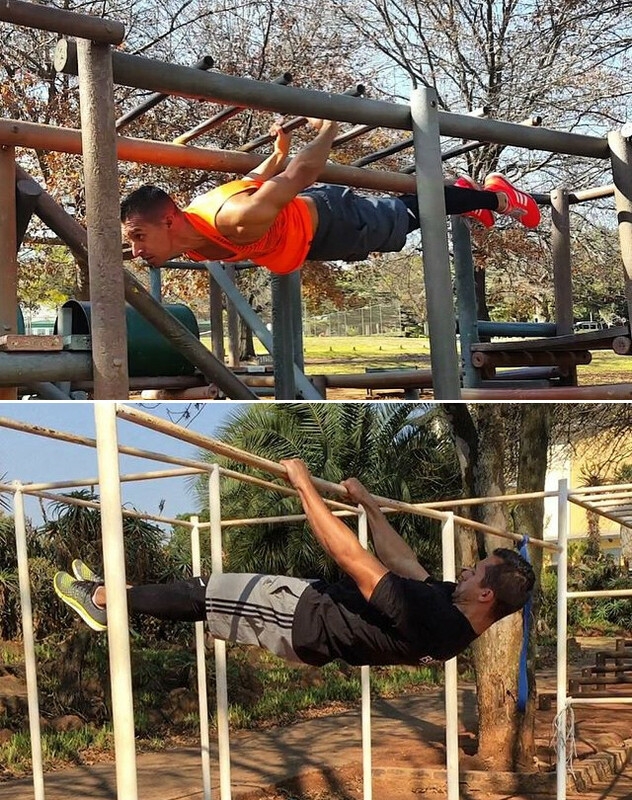 For more training tips and calisthenics exercise specific advice from Adam, click here! Why Only Be Average? Choose To BE GREAT! 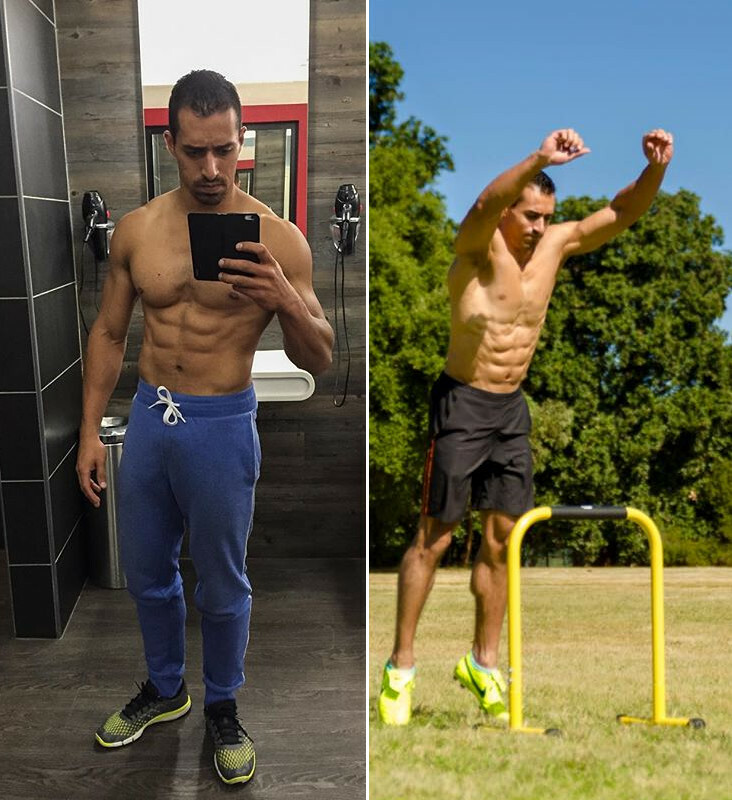 Calisthenics Training And Tips And Where To Start, With Adam Deane!